What events would you like to see in the remainder of 2016? Recently, the Madison Magnet board held its summer strategy session, planning out our programming for the rest of 2016, and talking about how we serve our members. 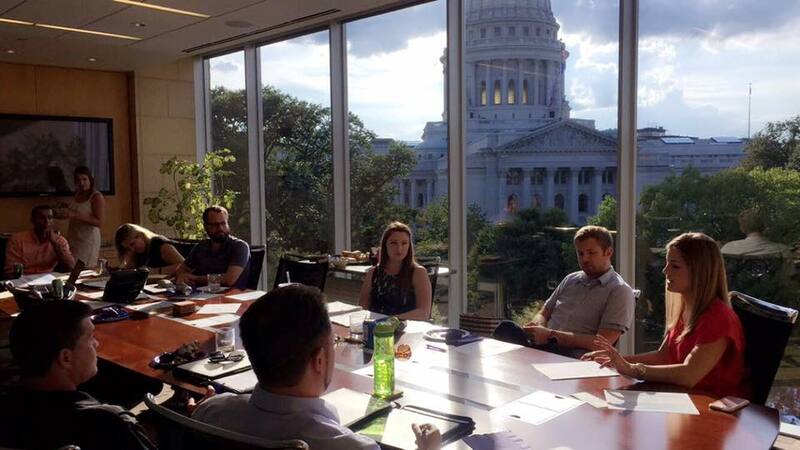 To begin, we recapped some of the great activities we were involved with during the first half of the year, including YPWeek 2016, a workout at MadPower training center, and our new Lunch with a Leader events that bring YPs together with some of the most influential thought leaders in the Greater Madison region. For the remainder of 2016, the Board focused on innovation, both in programming and membership. Good examples can be seen in the upcoming Cheese Curd Crawl, encouraging members to gather and sample curds from around the downtown area, and our monthly MagPro: Professional Development events at Dreambank, an interactive series of workshops covering a wide range of skill-building topics that YPs need to thrive throughout our careers. We want Magnet to continue to be a premier destination for young professionals to meet and learn from each other as well as give back to the Greater Madison community. As such, the board is establishing specific objectives to grow our membership. Your participation and voice is important, if you have any feedback please email director@madisonmagnet.org! Thanks for your support and look forward to the rest of 2016! Older PostWelcome New Board Members!